 Today, Freedom Network USA released a white paper surveying survivor leadership development opportunities in the United States. Our founders were committed to lifting the voices of those with lived experience and working as partners in the fight to end human trafficking; FNUSA remains committed to this principle. While we – and the field – have a long way to go, there are amazing survivors, leaders, and advocates working every day to give survivors the tools they need to reach their goals. This paper explores current programming available to survivors to gain leadership and professional skills. Work-force training, coalition support networks, and traditional leadership opportunities are supporting the learning of hundreds of survivors across the country. Despite these efforts, gaps in funding and resources prevent these efforts from reaching their true potential. Thank you to the fearless leaders who have dedicated their lives to eradicating human trafficking and supporting the dreams of all survivors. Many shared their professional perspectives and experiences to inform this paper.